These sample coding interview questions are customized for different programming languages and can be used to test candidates on general coding and language-specific criteria. Use these programming questions to evaluate candidates’ skills and hire the best programmers for your company. Most engineers and developers are required to know how to code. 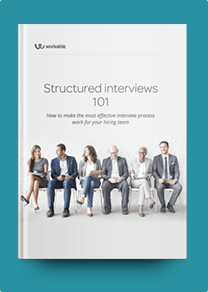 Evaluate candidates’ knowledge using coding skills interview questions during the hiring process. For junior positions, ask basic coding interview questions and test candidates theoretical knowledge using simple exercises. For more senior engineering roles, opt for a written assignment, where you can assess how candidates approach coding projects end-to-end. Asking too many programming technical interview questions can overwhelm candidates. During a programming interview, focus on specific languages that you want to test for, based on your needs. For example, choose between java coding interview questions and python coding interview questions depending on the role you’re hiring for. For all engineering positions, look for candidates who blend a Computer Science academic background with IT work experience. Keep an eye for candidates who are enthusiastic about coding and can find workarounds to coding issues. Award bonus points to candidates who keep up with the latest developments in coding and technology. Describe the process of writing a piece of code from requirements to delivery. Which tools have you used to test your code quality? How do you stay up-to-date with the latest technology developments? For more examples, see our full Programming interview questions list. How are Runtime exceptions different from Checked exceptions? Why use an object Factory and how would you implement the Singleton pattern? What is the difference between String, StringBuilder and StringBuffer in Java? For more examples, see our full Java Developer interview questions or Java Software Engineer interview questions lists. Explain each of the following operators and how and when they should be used: ==, ===, eql?, equal? What is a module? Can you tell me the difference between classes and modules? What are some of your favorite gems? For more examples, see our full Ruby Developer interview questions list. Why are functions considered first class objects in Python? Can you explain circular dependencies in Python and potential ways to avoid them? Give an example of filter and reduce over an iterable object. Can you explain the uses/advantage of a generator? For more examples, see our full Python Developer interview questions list. What is the WebSecurity class in .NET? What is its use? Which is the best way to pass configuration variables to ASP.NET applications? For more examples, see our full .NET Web Developer interview questions list. If you need to generate random numbers in PHP, what method would you follow? Explain how you develop and integrate plugins for PHP frameworks, like Laravel and Yii. How can you get web browser’s details using PHP? For more examples, see our full PHP Developer interview questions list. Can you describe the difference between inline elements and block elements? Why is it generally a good idea to position CSS <link>s between <head></head> and JS <script>s just before </body>? Do you know any exceptions? Can you describe how padding and margin differ? For more examples, see our full HTML interview questions list. How would you delete cookies in JQuery? What are the basic JQuery selectors and how do you use them? Is there a difference between jquery.size() and jquery.length? What are the advantages of JQuery? Which are the different types of variables? Can you explain how you would clone an object?